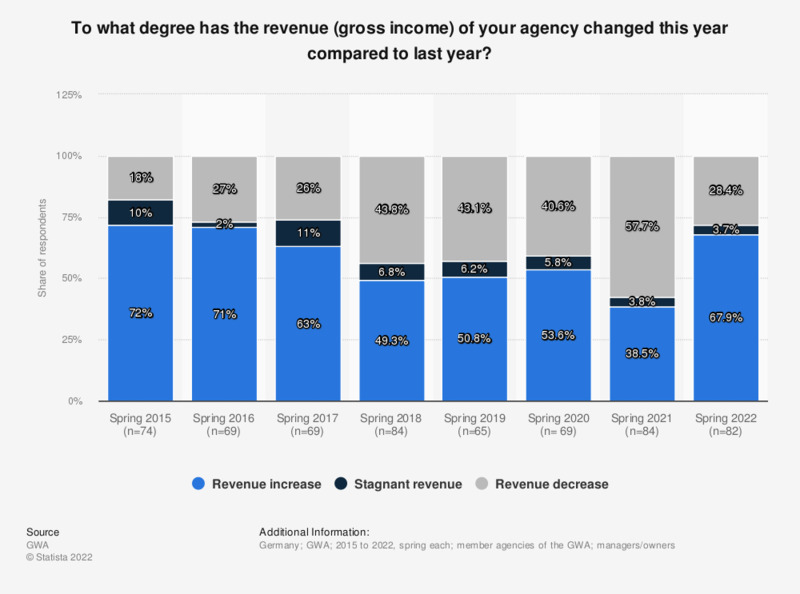 This statistic shows the results of a survey on the revenue development in the agency sector in Germany from 2015 to 2018. During the 2018 survey period it was found that almost 50 percent of GWA member agencies stated that their revenues had increased compared to the previous year. Which changes was the production agency market experiencing last year?